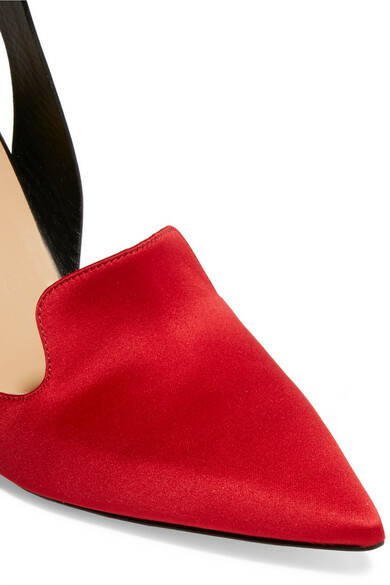 Monse shot its Pre-Fall '18 collection in a grocery store and if you watch the playful campaign video you'll spot all the different versions of these pumps. 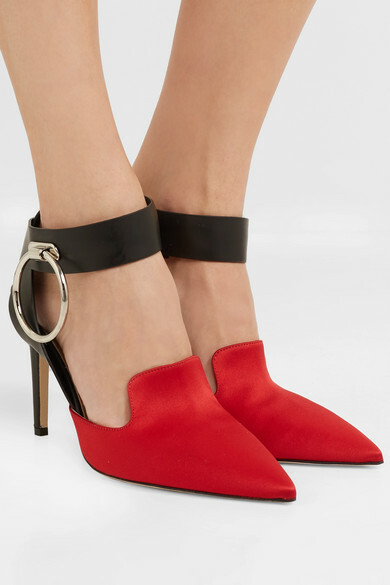 This pair has been made in Italy from a combination of lustrous red satin and black leather and is accented with polished silver hoops - a key detail from the new lineup. Mirror the label's styling and wear them with a draped midi dress. 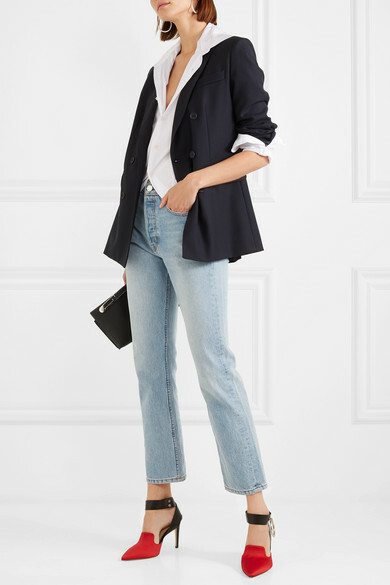 Shown here with: Joseph Shirt, Max Mara Blazer, RE/DONE Jeans, Loewe Shoulder bag, Sophie Buhai Earrings.